Island Restoration Specialist Jason Zito shares his enriching encounters with people and nature while conducting fieldwork in Palau. I have a confession: I’m going to try to describe a place to you—try to communicate how I was truly impacted, the vibrancy of the place, the natural beauty, the lessons I learned and their effects on me; I‘m going to try and I’m going to fail. Words simply can’t impart the breadth and depth of Palau to your heart and mind. But I’ll try my best. Palau, a UNESCO World Heritage Site that lies approximately 950 miles southeast of the Philippines, is a fascinating, beautiful, and unique little corner of our planet; if you take anything away from this piece it should be that. World renowned for its natural beauty, Palau is a destination that does not fail to amaze. Dramatic limestone islands draped in lush vegetation dot the massive lagoon that makes up much of the country. Every single shade of green I can and can’t imagine is present in a riot of growth that boggles the mind–especially when you consider that this abundance of life is emerging from a harsh existence based on unforgiving limestone substrate that needs to be pulverized, weathered, and processed to be able to support life. Every single shade of green I can and can’t imagine is present in a riot of growth that boggles the mind. What the islands rise from can best be described as liquid sky. The marine environment includes every shade of blue I’ve ever seen and every permutation of air, water, and light that I’ve ever cared to ponder. The source of it all is blue: life-giving rain that falls from the blue heavens. Verdant hills–oases really–rise from the water whose blues will go round for round and then some with any sky you’ve ever seen. Thank goodness for gravity or one might get confused which way is up or down. I haven’t even really touched on the biodiversity of Palau, but rest assured, here live as many unique and interesting flora and fauna as there are shades of blue and green. Just as fascinating as the region’s natural wonders are the people and culture of Palau. In Palau, the impressive biodiversity I just mentioned is woven into life and culture with threads of story and meaning that are still reflected today. Little and not-so-little tales and proverbs remind you of the delicate balances in nature and the processes of creation and tending. The messages and lessons are just as pertinent to one’s interpersonal relationships and community balances as they are to the integrity of the surrounding environment. These stories can help watersheds, reefs, forests, etc. remain healthy and viable for future generations. In Palau, the impressive biodiversity…is woven into life and culture with threads of story and meaning that are still reflected today. Little and not-so-little tales and proverbs remind you of the delicate balances in nature and the processes of creation and tending. In Palau, you learn things, and are impacted in extraordinary ways. Through a series of meteorological events I encountered with new friends and colleagues on the island of Kayangel, I learned that I hail not from a small town in Northern California, as I’ve believed for all these years, but rather from a state in southwest Palau whose residents have strange affinities with rain, a condition that stems from a curse cast by a powerful chief long ago. On Kayangel, I learned of “melengmes:” a concept embodied by one acting or not acting out of honor/respect for the greater good. I don’t have one easy-to-read example of this concept in action, rather I witnessed little hints of it daily. We are lucky in Kayangel because the community knows that we are there for them; a rat-free island is looked upon almost unanimously as a positive thing in Palau and we have made it paramount to take every step of this process while hand-in-hand with the community. 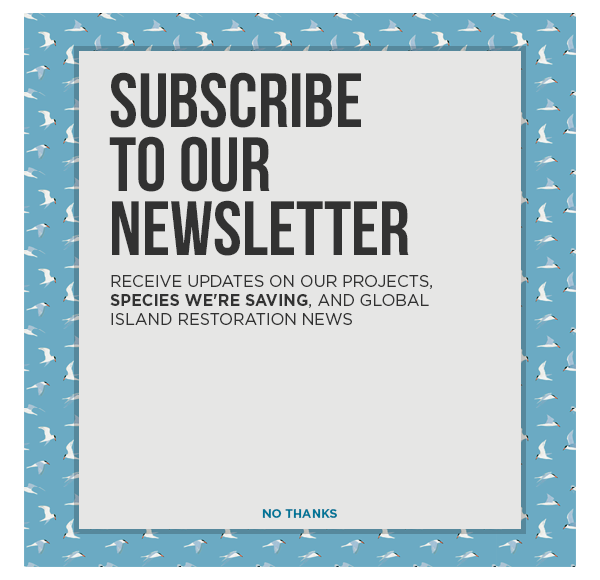 The restoration of the islands is really their project, not ours; we gladly look forward to the conservation benefits of a rat-free Kayangel for local wildlife, but it is the residents of Kayangel who will truly get to reap the benefits of this outcome. The restoration of the islands is really their project, not ours; we gladly look forward to the conservation benefits of a rat-free Kayangel for local wildlife, but it is the residents of Kayangel who will truly get to reap the benefits of this outcome. I don’t know about you, but knowing that I am working for a greater good (melengmes) that encompasses both the natural world and people makes what I do all the more worthwhile. It makes me feel great that the reverberations of the work I do extend beyond the conservation of a species or habitat. Don’t get me wrong–I do the work I do out of a deep love for nature, but I also get a kick out of people from time to time. We all do. I’ve seen the pride in my field teams after long hard days of work, such as those when we’ve cleared hectares of monitoring transects through impenetrable walls of vegetation and our hands resemble gnarled claws from wielding our tools for so long. The satisfaction we all enjoy from sharing time together outside of the field manifests in the forms of exchanging stories and experience, sharing food (a big one for me), and laughter. In the end, you come away from the field with a new family you never expected to have and a love you didn’t know you could have felt for a place. This journey of mutual labor and discovery gives each of us just a few more colors to add to the palate that we paint our lives with. Palau, for me now, is that much greener, and that much bluer. Jason received a BS in Wildlife Management and Conservation from Humboldt State University. The bulk of his experience has been in the field of invasive species control. When not working, Jason enjoys the outdoors, cooking, self-subsistence, and most other good times in general.